Two of the things I am very thankful to have in my life. This memory was posted in Special Occasions and tagged Amara, Grampy, Thanksgiving on November 24, 2011 by Grandma Kc. And I add “Amen” to that! You all have a wonderful Thanksgiving day! Thanks for being a special part of my life, kc! I am thankful for them too, and my wonderful sister, Kc!! Lovely people to be thankful for and to have in your life. I’m willing to bet they feel the same way about you! I know *I* am thankful you’re in my life. It may be a CYBER life, but it’s real and I’m glad you’re part of it! Love it when words are unnecessary. Oh they are 2 very special people! And so are you! I am thankful you are my friend! I am thrilled that you consider me a friend! I feel the same way and I am so glad that we have met even if it is just virtually! A perfect example of that saying, “a picture is worth a thousand words.” Joyful love just bursts right out of that photo! I know what you mean…really feeling thankful for my husband and my grandchildren this year, and thankful that my hubby is such a good grandfather…we never realize who our husbands will turn out to be when we first marry them, do we? Grampy and I weren’t married until Amara was 13 months old and I never imagined what a wonderful and involved Grandpa he would be. It is so much more fun when you have someone to share it with! I love this picture! I hope your Thanksgiving is blessed with all the people you love and lots of delicious food to share. Lovely Grandma KC’s. 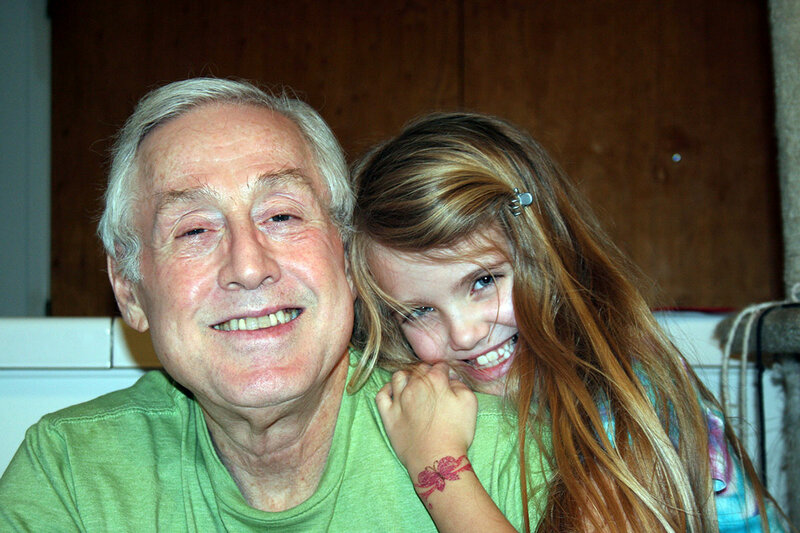 What a wonderful photo of Amara & her grandfather.